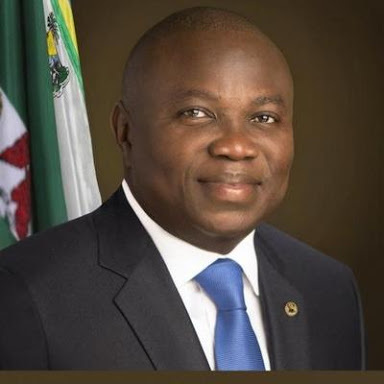 The Chairmen of 20 Local Government Areas and 37 Local Council Development Areas (LCDAs) of Lagos State on Sunday unanimously endorse the State Governor, Mr Akinwunmi Ambode for a second term in office. Rising from a meeting with the Governor at Lagos House in Alausa, Ikeja, the council chiefs said their decision to support Governor Ambode for another term was on account of the need to allow him continue with the massive infrastructural renewal and transformation of all parts of the State. The Governor had in recent time received series of endorsements for a second term in office from critical stakeholders and sectors in the State. The Chairmen, who spoke through the Chairman of Conference of LGs and LCDAs in the State, Hon Omolola Essien, said the achievements of the Governor in office so far were visible to all. Essien, who is also the Chairman of Lagos Mainland Local Government, said the unanimous endorsement of the Governor was the second time the council chiefs would be doing such having earlier endorsed him individually. “We the Chairmen of the 20 Local Government Areas and 37 Local Council Development Areas (LCDA) of Lagos State are all here to reaffirm our endorsement of our Governor, Mr Akinwunmi Ambode for second term. “He has done very well and there is still continuation of a lot of things to be done which the Governor is actively implementing. We are here reaffirming our position because we have already endorsed him before now,” Essien said. Also speaking, Chairman of Bariga LCDA, Hon Kolade David Alabi, said the achievements of the Governor so far in office were evident for everyone to see, adding that the decision to support him was to allow continuity of the good works. “We are all here today and we have resolved to endorse Governor Akinwunmi Ambode for second term in office; he has performed creditably well and what he has done is what the legal people call res ipsa loquitur that is the fact speaks for itself. Everywhere in Lagos there is construction work going on and of course we have to give him another four years to consolidate on what he has done since assuming office. “So, we have all resolved to endorse him for second term. This is our second time of endorsing the Governor; we have done that first simultaneously in all the 57 councils and we are here again to unanimously endorse him for second term,” Alabi said.